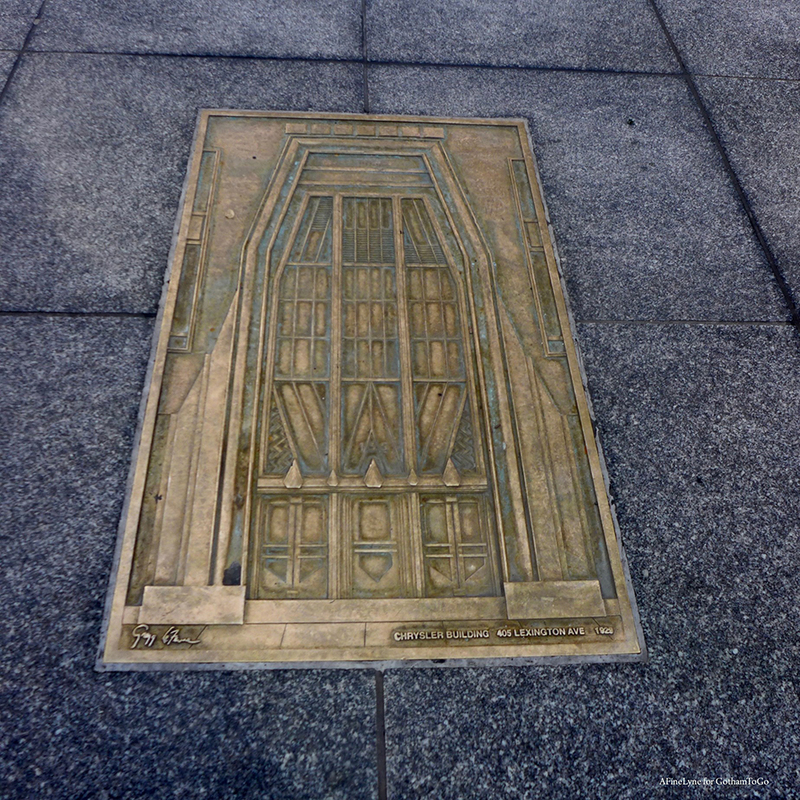 As we prepare for the opening of The Museum of the Dog, a closer look at its new home in the Kalikow Building brought our discovery of a series of bronze reliefs, embedded in the sidewalk on the Park Avenue and 40th Street sides of the building. 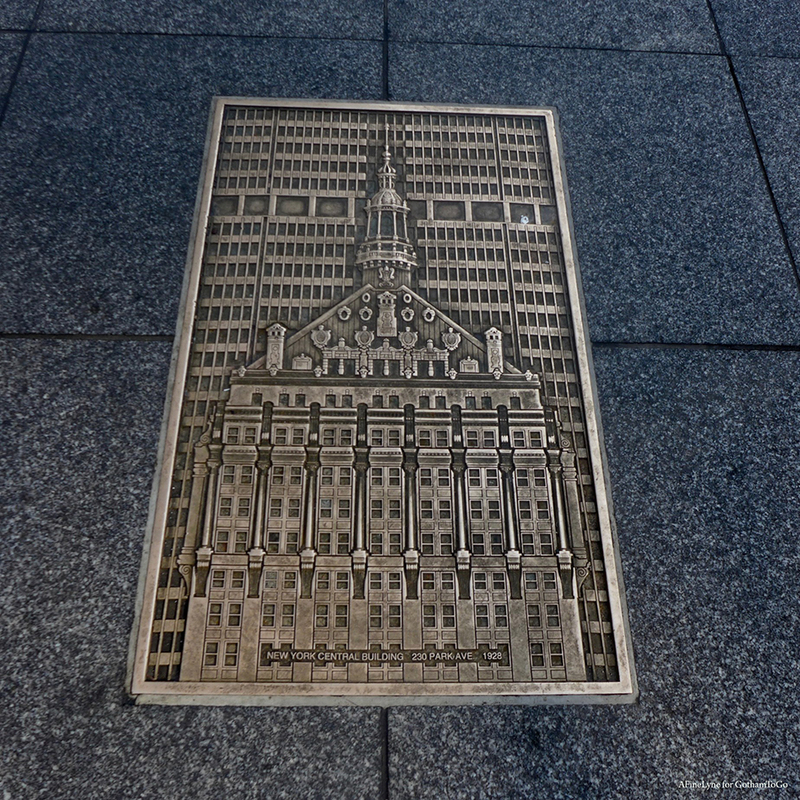 The embedded plaques celebrate the rich architectural heritage of commercial properties that fall within the Grand Central Partnership District. 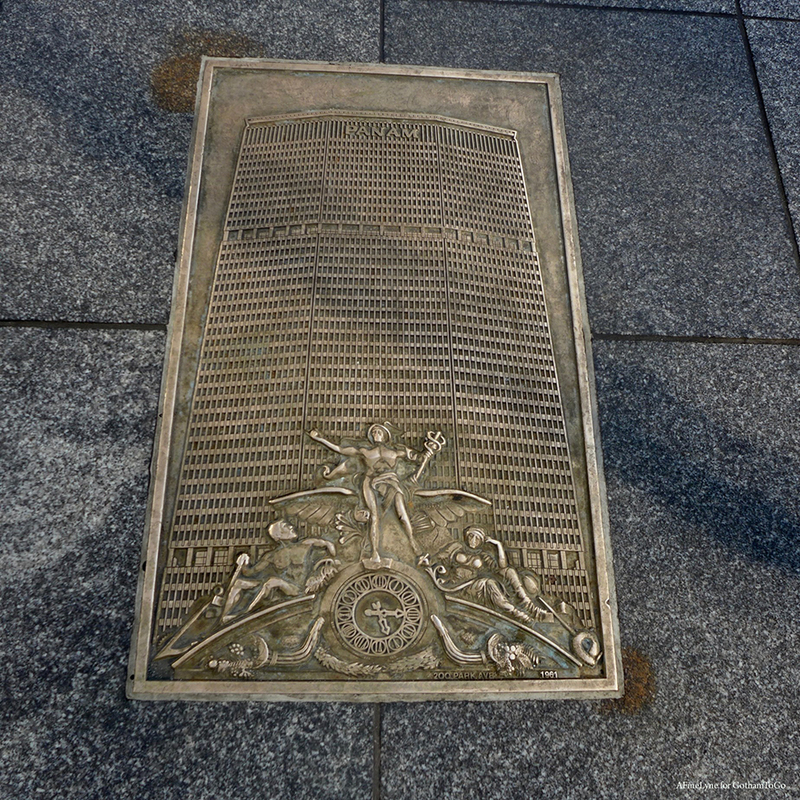 The bronze plaques were placed at this particular site, remembering that 101 Park Avenue was once ‘The Architects Building,’ home to many of the designers of the impressive structures that are mirrored in the embedded plaques. 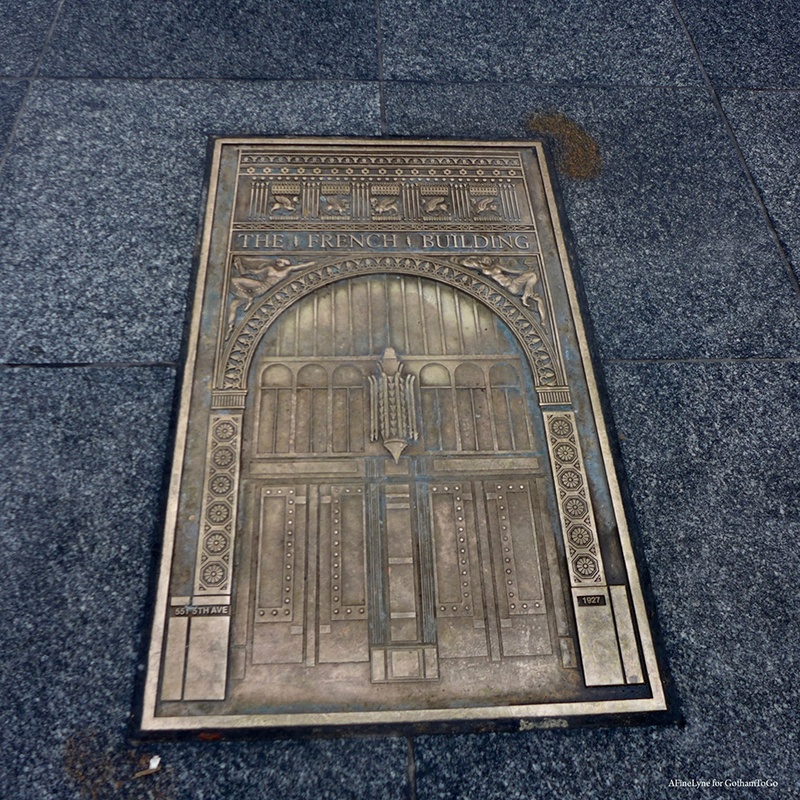 The 629-foot tall, 49 floor skyscraper was completed in 1982, designed by Eli Attia Architects. 101 Park Avenue has also been a favorite for film, having been the fictional “Pemrose Building” in the film, The Secret of My Success, and the fictional Clamp Tower in the film Gremlins 2: The New Batch. 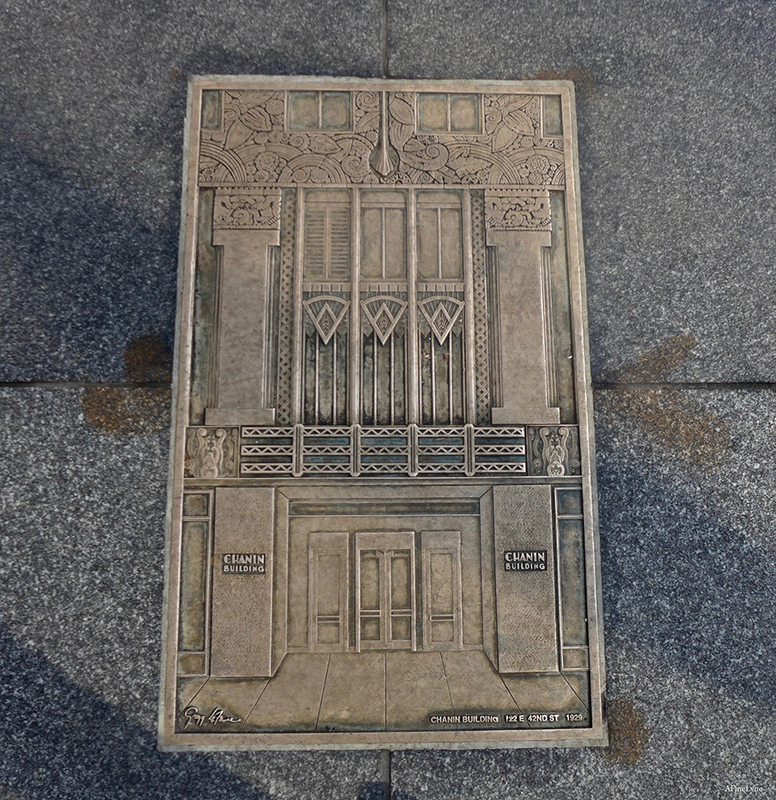 It was featured in The Fisher King, and was the site of George Costanza’s office in a few of the ninth-season episodes of Seinfeld; Dudley’s Moor’s character’s office in Crazy People, and the IFT Headquarters in the TV Series, Person of Interest & many more. 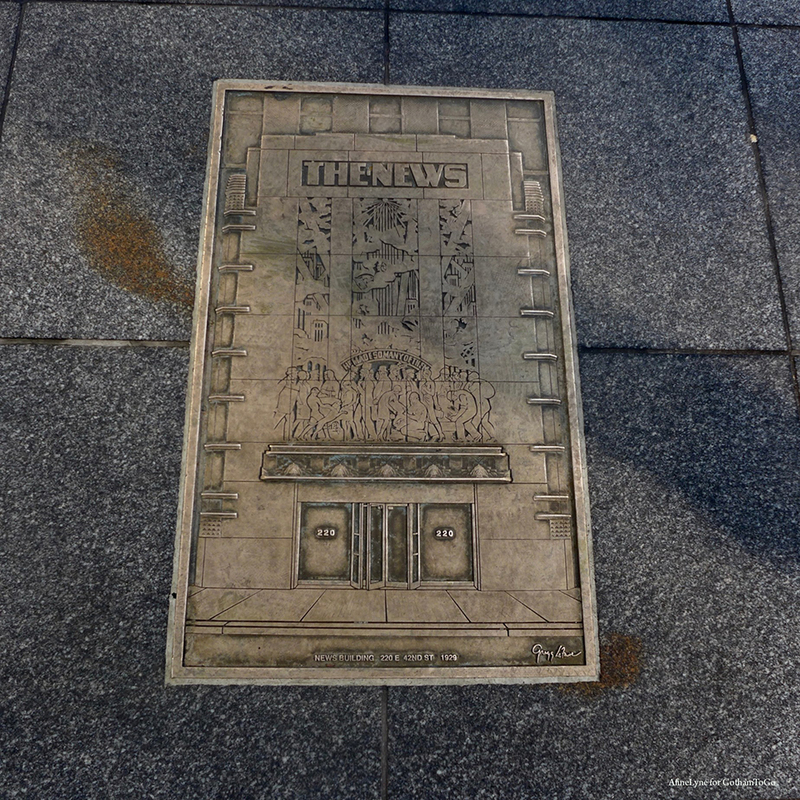 In this post are just a few of the many bronze reliefs created by Gregg LeFevre, a sculptor ~ assisted by James Owens of Boston, and installed in 1996. The AKC Museum of the Dog will open on February 8, 2019.